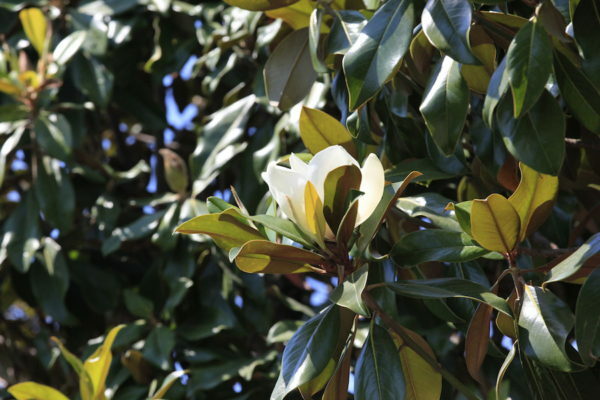 An unusual evergreen, Magnolia Grandiflora boasts large, leathery leaves with a dark-green colour on top and a bronzed, furry underneath. The gloriously huge, creamy flowers in late summer (August/September) have a complex lemon perfume and look magnificent against the dark background. 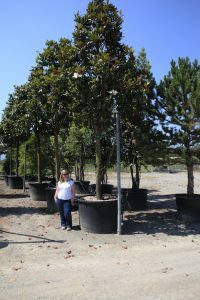 Tags: evergreen magnolia, magnolia grandiflora, specimen magnolia, specimen trees.